Bret Baier, an American journalist, is a popular anchor of the Fox News Channel. He currently hosts Special Report with Bret Baier on the Fox News Channel. He previously worked as the network's Chief White House Correspondent and Pentagon correspondent. Baier has been married to Amy Baier and has two children. One of their sons was born with cardiac problems and before the child's open-heart surgery in 2008, President George W. Bush invited Baier and his wife and son to the Oval Office for a visit and had the White House physician update him on Paul's progress. Bret Baier was born in the year 1970 August 4 in Rumson, New Jersey, United States. He is an American nationality and belongs to white ethnicity. Bret Baier is 47 years old. He was raised in Dunwoody, Georgia as a Roman Catholic. He goes to Holy Trinity Catholic Church in Georgetown. He has attended Marist High School in Atlanta, which is a private Roman Catholic School. Baier graduated his high school in 1988 and went to DePauw University in Greencastle, Indiana. He has majored in political science and English from the University in 1992. Whilst at the University, he was the member of the Xi Chapter of the Sigma Chi Fraternity. 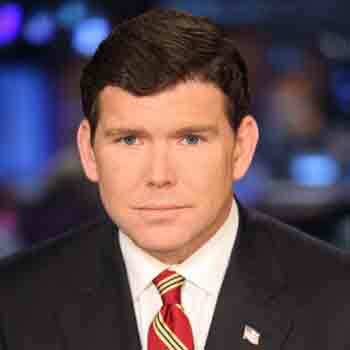 After completing his graduation, Bret Baier began actively in the journalism sector. He debuted in the television sector working with a local station in Rockford, Illinois. Later on, he joined at the CBS affiliate in Raleigh, North Carolina called the WRAL-TV. Baier is also a career motive. He too wanted to boost his professional life and career. Following so, Baier sent his audition tape to Fox News in 1998 and being impressed with his performance in the tape, the Fox News hired him as the network’s Atlanta bureau chief. On the 11 September 2001 attack on the Pentagon tower, he drove all the way to Arlington from Virginia and cover the attack. For his coverage of the Pentagon attack, Baier was tapped as the network’s Pentagon coverage taking the post for five years and traveling to Afghanistan and Iraq to make the cover of the different hot issues happened in there. The dedication and his performance on his work made him become the Fox News’s White House correspondent in 2007 covering the administration of George W. Bush. Later in fall of the same year, he began to anchor the Special Report on Fridays substituting Brit Hume. Since 2009, Baier became the permanent anchor for the show. In 2012, he served as the co-anchor of the FCN’s America’s Election HQ. He had also provided the extensive coverage of the 2012 campaign cycles, presidential and vice-presidential debates as well as Republican and Democratic conventions. He has also interviewed several of the renowned personalities like Hillary Clinton, President Barack Obama, etc. His excellent talent and skill have made to be one of the reputed and able and authentic journalists in the arena. 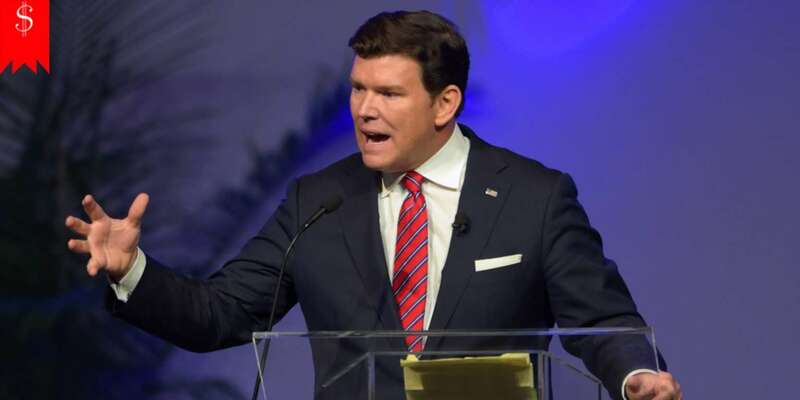 Bret Baier has collected a large amount of net worth from her illustrious journalism career which as per celebrity net worth is around $16 million. He enjoys a yearly salary of $7 million. Baier is tall and handsome. He became Fox News's White House correspondent in 2007, covering the administration of George W. Bush. Talking about his personal life of Bret Baier, he is a married man. The name of his wife is Amy Baier. He has two children from his wife Amy. He has two sons among which one of his sons was born with the cardiac problem. His son went to open heart surgery in 2008. Bret is living happily with his wife and children. He is trying to give maximum time possible to his family fulfilling his responsibilities at work. Since the couple is happy and no any news of issues or disputes among them, the divorce is unlikely to happen in the relation. The popular media personality is also quite popular on social media like Facebook and Instagram where he has over 230 K followers, as of 2019. Bret Baie's height: his height is 5ft 9 inch (1.8 m).